Plumbing emergencies can occur at any time, and they almost always occur suddenly and without warning. We’d all love to avoid plumbing problems at all costs, but life happens and it’s good to know a few plumbing maintenance basics. However, if it is out of your comfort level, or your bathroom/kitchen look like a war zone, call a local professional plumber who can manage the job for you. If you’d like to try your hand at a few simple techniques, here are my favorite top preventive and maintenance tips. 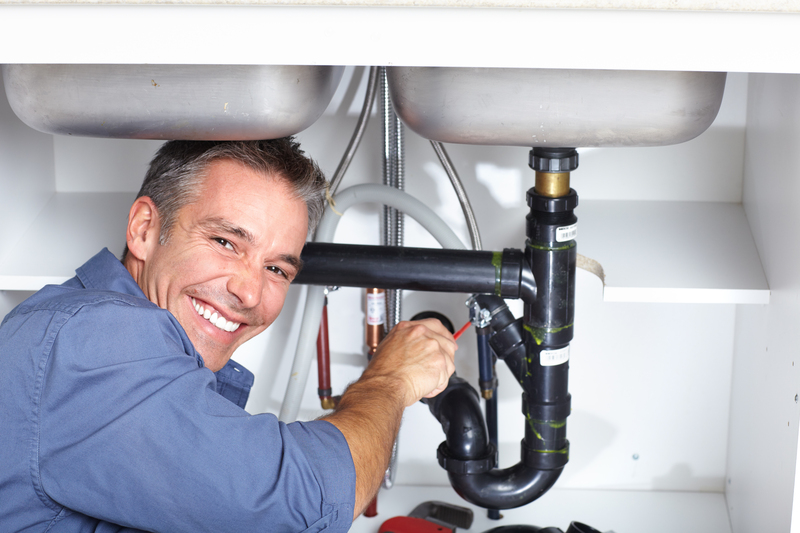 When it comes to plumbing, knowledge and prevention is much easier and less costly that repairs. Knowing what to do when a plumbing emergency arises will help minimize damage, costs, and frustration. Find your shut off valve. Water can be turned off from from inside and outside your house. It’s a good idea to familiarise yourself with where both your stopcocks are before there’s a great spouting leak causing irreparable damage. Stop a drip.If your tap has an irritating drip, it’s either because someone hasn’t turned it off tightly enough, or a bit of rubber inside it has wasted away to nothing. Look at the tap. Is it dripping from the spout? If so, a washer has gone. Is it dripping from the top? If so, an O-ring needs replacing.However, washerless faucets offer the best performance and least maintenance. If you can, instead of replacing washers or inserts, upgrade your faucet to a washerless variety. Unclog shower hair. Shower and bathtub drains should have strainers that stop hair and soap from entering the drain. Clean strainers regularly to avoid clogs. Don’t flush Kleenex in toilets. The paper fibers do not disintegrate like toilet tissue and can cause clogs. Remove mineral deposits from your showerhead to maintain good water flow. If it is severely clogged, replace it. Mark your territory. When putting down floorboards, make sure you mark out where pipes lie so you don’t nail through them. Don’t put items like potato peels, chicken skins, carrots, celery or banana peels in the garbage disposer. The disposer can’t properly grind them up and they may clog the drain. Stop a suspicious smell. The trap is a length of bent pipe designed to stop revolting sewer gas from entering your home. In order for this to happen, a certain amount of water needs to sit in the trap as a pong-blocker. If you’re getting nasty smells, the solution may well be as simple as running the tap in the sink for a bit. This will fill your trap back up. Maintain toilet tanks and prevent water waste by replacing the ball or flapper once a year, and upgrade to the most modern tank fill system. Never pour grease down your kitchen sink – it’s the number one cause of blockages! Disconnect outside water hoses. Water left in the hoses can freeze and expand, causing faucets and connecting pipes inside your home to freeze and break. Your water heater works harder during cold weather. Flush it out and remove sediment buildup, which causes corrosion, shortens its life span and reduces heating efficiency. Drain several gallons from the faucet near the bottom of the tank through a hose directed into a nearby drain. Carefully test the water heater’s pressure relief valve (water is very hot) by lifting up on the lever and letting it snap back. The valve should allow a burst of hot water into the drainpipe. If not, call a professional to have a new valve installed. Always have a plumber’s number handy! No matter what plumbing emergency occurs in a home, a professional plumber will always be able to offer advice and make any needed repairs. Saw this great post and had to re post. I hope you find this just as helpful as I do.